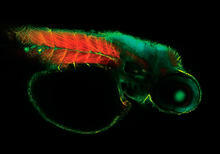 Bring imaging to life: confocal imaging advanced to levels previously unseen. Nikon’s groundbreaking confocal imaging system offering greater speed, higher resolution and unprecedented system flexibility. 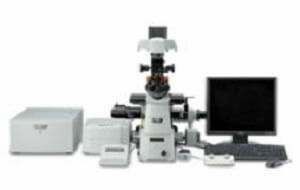 The A1+ confocal laser microscope system is Nikon’s powerful fully-automated confocal imaging system, capable of capturing high-quality confocal images of cells and molecular events at high speed and enhanced sensitivity. Ideal for facilities with a broad range of users, the A1+ has been designed with groundbreaking new optical and electronic technology innovations to provide unprecedented system quality and flexibility. 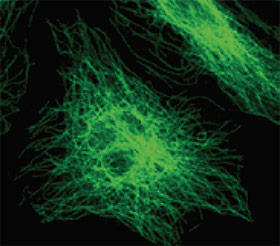 New features such as Nikon’s GaAsP multi-detector unit enables brighter, even higher resolution images than ever before. The A1 ER enhanced resolution Module combines powerful GPU-based processing and specialized deconvolution algorithms to dramatically enhance the spatial resolution of your A1+ or A1R+ confocal microscope with minimal processing time. The A1 ER Module provides high quality PSF models for Nikon’s high performance objective lenses, taking the guesswork out of deconvolution analysis. Other features include automatic or manual mode for iteration selection, enhanced spherical aberration correction, and robust algorithms for noise estimation and removal. The A1+ utilizes a galvano scanner which enables high-resolution imaging of up to 4096 x 4096 pixels. In addition, with the newly developed scanner driving and sampling systems, plus image correction technology, high-speed acquisition of 10 fps (512 x 512 pixels) is also possible. 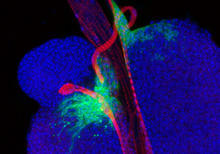 Zebrafish labeled with four probes (captured with galvano scanner) Nucleus (blue): Hoechst33342, Pupil (green): GFP, Nerve (yellow): Alexa555, Muscle (red): Alexa647. 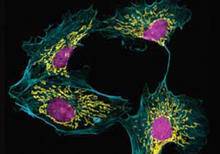 Bovine brain microvascular endothelial cells labeled with MitoTracker (mitochondria, yellow), phalloidin (actin, blue) and Hoechst (DNA, magenta). Nikon developed the GaAsP multi-detector unit equipped with two GaAsP PMTs and two normal PMTs. 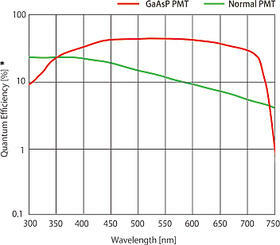 A GaAsP PMT has much higher sensitivity than a normal PMT, thus acquisition of brighter signals with minimal background noise is possible with a GaAsP PMT, even with weak fluorescence, which, until now, has been difficult to detect. When using resonant scanners, the GaAsP PMT enables low-noise, high-speed imaging. 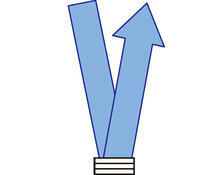 The low-angle incidence method utilized on the dichroic mirrors increases fluorescence efficiency by 30%. By employing the hexagonal pinhole, higher brightness equivalent to that of a circular pinhole is achieved. Nikon’s original dual integration signal processing technology (DISP) has been implemented in the image processing circuitry to improve electrical efficiency, resulting in an extremely high S/N ratio. NIS-Elements C control software enables integrated control of the confocal imaging system, microscope and peripheral devices with a simple and intuitive interface. Diverse reliable analysis functions are also available. * 2 Fast mode is compatible with zoom 8-1000x and scanning modes X-Y and X-T. 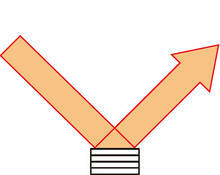 It is not compatible with Rotation, Free line, CROP, ROI, Spectral imaging, Stimulation and FLIM. * 3 Compatible with galvano scanner only.